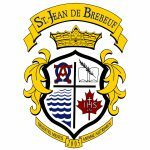 The St. Jean de Brebeuf Catholic School Council functions in an advisory role to the school principal and to the Board. To foster the pursuit of academic excellence and create a culture of life-long learning among students, staff and the community. To continue to encourage respect and positive attitudes towards one another, towards school policies, and towards the environment.